Chris Duffy currently works as a business advisor at the Regional Economic Development Center assisting businesses with financial management, loan structure and application development, and strategies for growth. 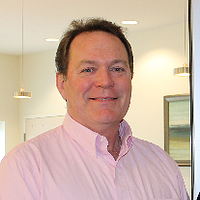 Previously Chris worked as a business advisor for the New Hampshire Small Business Development Center, assisting a variety of small business clients with basic business planning skills, business plan development, financing and marketing plan development. In 1995, Chris conceived and co-founded GreatBay Aquaculture – the first commercial marine fish hatchery for summer flounder, Atlantic cod and cobia in the US. Chris graduated from the University of New Hampshire with a BA in Zoology in 1980. He held various positions in the wild harvest fishery, including commercial fishing, fish processing, distribution and sales. He received his MBA from the UNH Whittemore School in 1988. When not working Chris is a dedicated backyard farmer, growing vegetables, chickens, turkeys and pigs. He needs more land! Megan is a professional people watcher. She leads the customer insights and research team at Nasdaq, helping design teams discover the needs and behaviors of their audiences and identify opportunities for innovation. She also just earned her masters degree in Gastronomy at Boston University. 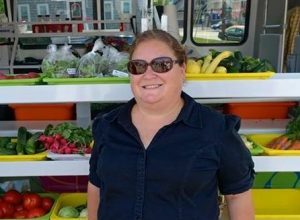 A 20-year Portsmouth resident with a deep-rooted curiosity about the local food scene, her mission is to get better food to more people. 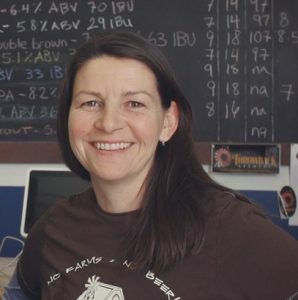 Annette Lee is co-owner of Throwback Brewery – a small, inspired brew pub at Hobbs Farm in North Hampton, NH, dedicated to crafting delicious farm-fresh food and beer with ingredients sourced in the New England area. Annette spent close to 20 years working as an environmental engineer before making the jump to a small brewery owner in 2011. An avid gardener with a passion for full circle sustainability, Annette always finds time in her busy schedule to help the farmers at Hobbs Farm. In fact, Annette considers one of her most meaningful achievements to be the restoration and rehabilitation of Hobbs Farm – returning it to a working farm that provides ingredients for Throwback’s food and beer. Sherri spent the majority of her career in retail merchandising/planning management in department and specialty stores including Jordan Marsh, Timberland, and Bed Bath and Beyond. After retiring from retail in 2010, she worked in an administrative support role at NH Public Radio. 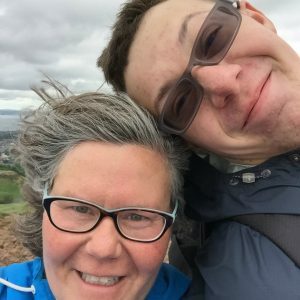 A strong desire to lessen her negative environmental impact and to connect more directly with the local food economy led Sherri to retire completely in December 2013. 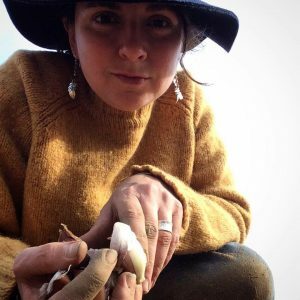 She now devotes her time to involvement in environmental causes, support for the mission of Seacoast Eat Local, an increased understanding and adoption of permaculture practices, and the integration of her yoga practice into her daily life. Sara Zoë is the librarian at New Franklin School in Portsmouth, NH. She has been involved in social justice advocacy in varying forms for the last 22 years. 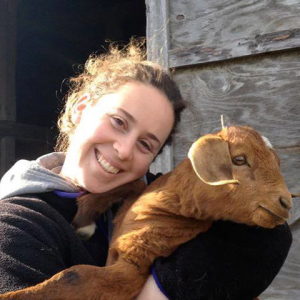 Her passions for good food and a better future for our planet come together in her volunteer work with Seacoast Eat Local. In 2009 she was awarded the Andrew L. Felker Memorial Award for leadership in promoting the growth and prosperity of New Hampshire agriculture and named one of the Union Leader’s “40 under 40” young leaders of New Hampshire. Jean began working on an organic vegetable farm in 2003, and co-founded Meadow’s Mirth farm in 2004. She was a founding member of Seacoast Eat Local. A graduate of Houghton College with a B.A. in Art, Jean has worked in schools, and libraries, and as a production potter. In her spare time, she sings, and calls contra dances; she is also an avid gardener. Robin Schweikart has spent her entire career in the non-profit sector, with a primary focus on membership and database administration. She has worked for such diverse organizations as Earthwatch Institute and Tufts Medical Center. Currently she is database administrator for the Boston Lyric Opera. 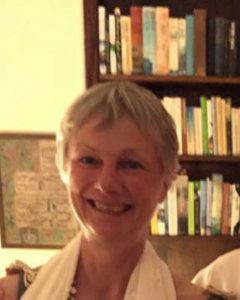 Robin developed her life-long interest in gardening and cooking as a child, working closely with her father, who began gardening organically in the 1960s. 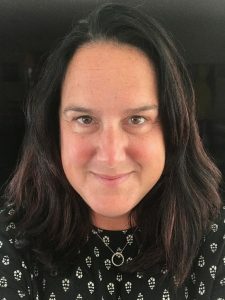 Although her primary residence is in Boston, Robin, her husband, and her sister have spent weekends and holidays in Portsmouth for over twenty years. 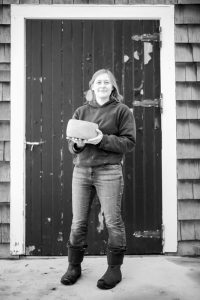 Her belief that locally and sustainably grown food benefits the whole community by supplying fresh meat and produce as well as keeping land in agriculture has prompted her involvement with Seacoast Eat Local. Theresa Walker and her family live in Durham and raise Romney and Merino sheep for fiber and breed stock. Theresa has worked with communities in Seacoast New Hampshire for 30 years on a wide variety of land use planning and natural resource protection projects. Theresa is chair of the Town of Durham’s Agricultural Commission and is vested in strengthening the bond between farms, farmers, and their communities.